A bloody event haunts some of our characters. Episode 11 of House of Five Leaves revolves around Yaichi’s past, as was generally expected. Yaichi’s past as Seinoshin is echoed in the latest job, which has a profound effect on Yaichi. Jin, the man who kidnapped Yaichi as a boy, and bears a grudge against him to this day, discovers his new identity, and Masa and Yaichi have a falling out, when Masa declares his intention to probe the secrets of Yaichi’s past. Yaichi sees his own past reflected in the life of another. The latest job goes wrong when the gang is paid half the amount, and told to kill the kid. Apparently the child was born to the wife as the result of an affair. Yaichi gets oddly emotional, and torments the kid with the news. Masa, quietly observing the whole thing, realizes a similar event took place in Yaichi’s youth, thus explaining the grave he had been shown by Yagi. 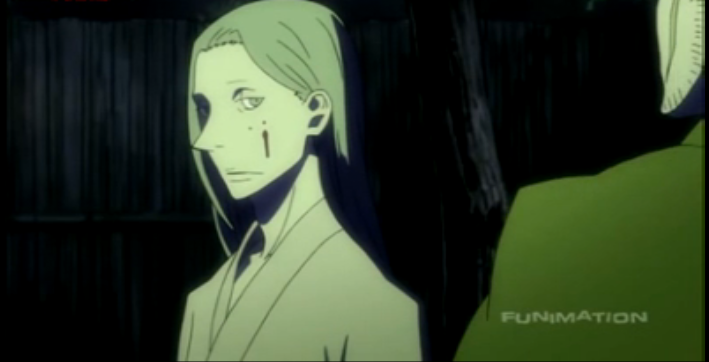 Jin, the scarred man who was a member of the Bokuro gang, confronts Yaichi and Masa as they walk the streets at night. 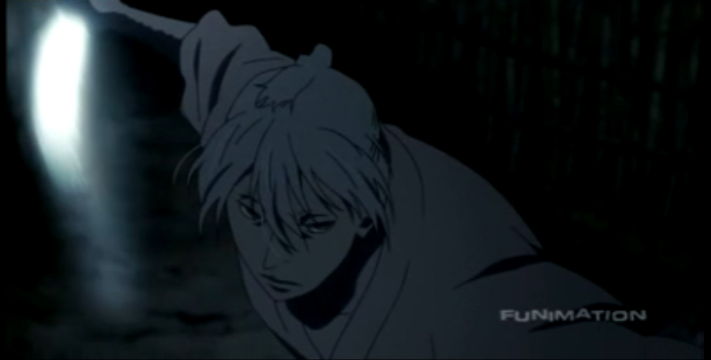 Yaichi’s weapon is knocked away by Jin, but Masa confronts him and declares that he has sworn to defend “Yaichi”. 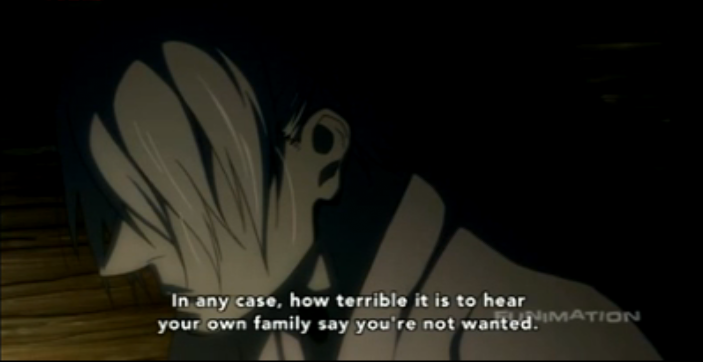 Jin warns Masa that he doesn’t know who Yaichi really is, but withdraws. Later, Masa confronts Yaichi. He says aloud many things that Yaichi doesn’t want to hear, and Yaichi takes it out on him, by hitting him with the ash box he uses to tap out his pipe. 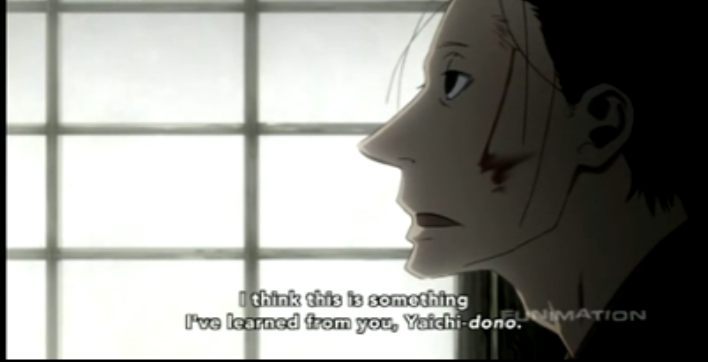 Masa tries to act honorably and forthrightly, telling Yaichi he is planning to ask the Elder what he knows about Yaichi’s past. Yaichi as a young Seinoshin, along with a disapproving Jin. Yaichi’s (Seinoshin’s) behavior is enough to warrant Jin’s hatred without the matter of having sold out the gang to the police. The young Seinoshin behaves as a cold-blooded murderer. A different explanation is possible, but this is clearly the view of those around him, including the Elder, who witnessed the event. 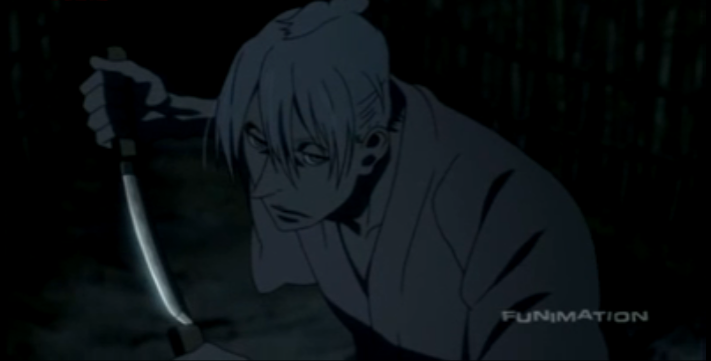 Contrary to a remark Yaichi made to the old lady at the bordello, Seinoshin is shown expertly wielding a katana. I thought that last point was fascinating because Yaichi had declared that he had never previously used any weapon other than the dagger. At the time I thought the remark odd, because I thought I remembered Seinoshin being asked to join in sword training in the flashback of the first episode. Now we know that that man was Yagi. On the one hand, this deception might be explained as Yaichi keeping his past identity a secret (since knowledge of kendo would mark him as being of samurai class). On the other, Yaichi might be running away from the things he has done with a sword, denying his past behavior, even to himself. Either way this shows how deeply plotted this story is. At the time, it appeared that the purpose of that scene was to show something about Masa’s social anxiety, but there were obviously other issues bubbling under the surface as well. As to the alternate explanation to point 2, this ties in with Seinoshin’s samurai background. The event in question reminded me of Okita’s beheading of Keisuke Yamanami at the end of his seppuku ritual. Compare this scene, “Yamanami’s Final Mission” in which the Shinsengumi watch their friend kill himself, and then Okita beheads him, as a “courtesy”.